BY AND FOR THE CHILDREN. VoiceWorks is honored to be playing a small part towards the ongoing success of the RX Radio station. We are in awe of its unique setup, which has the children from the hospital running the show as the DJs and reporters, under the guidance of a professional radio team. RX Radio is one of the first hospital radio stations by and for children. It has been established under the auspices of the Red Cross War Memorial Children’s Hospital Facility Board and started operations on 1st December 2016. VoiceWorks MD, Marianthi Dickie, was delighted to have attended the official launch last week on the 6th October 2017, which was a captivating, lively event that inspired and energized the audience. 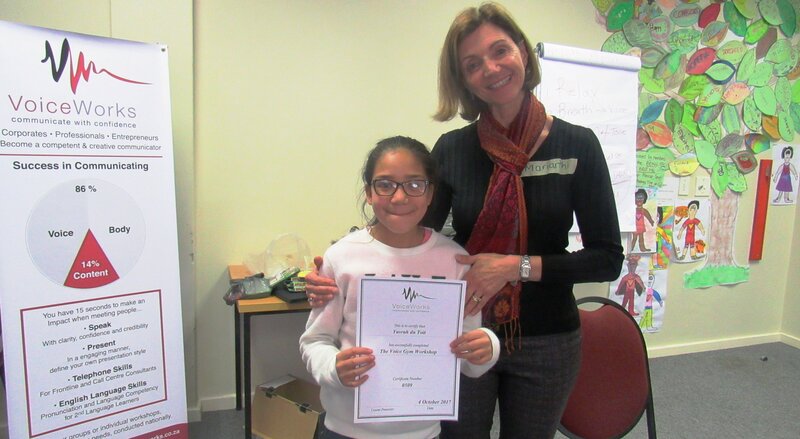 VoiceWorks has been given the opportunity to help the children get their voices fit for radio and to tell their stories with confidence, clarity and enthusiasm. 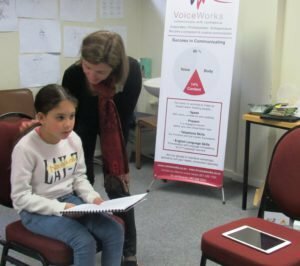 We conducted our first Voice Gym Workshop with a group of children on the 4 October 2017. The workshop is fun, interactive and practical and makes them aware of how they can learn to use their voices skillfully for radio. They were given exercises to do to help with the projection of their voices, to speak with clarity and credibility. 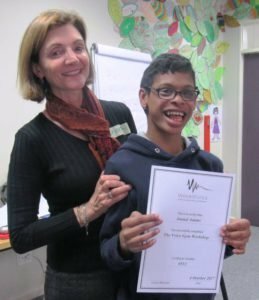 The ages of the children attending ranged from 6 – 17 years old and their enthusiasm to learn and commitment to the process was inspiring. VoicWorks is passionate about empowering people to make their voices work for them, so we are extremely grateful to have been given this opportunity to add value to the children’s RX Radio experience. This incredible initiative is hugely beneficial to the children, giving them the platform and tools to build on their confidence, wellbeing and future career choices and dreams. Thank you to the RX Radio Team, Dr. Gabriel Urgoiti, Noluyolo Ngomani, Wayne Boonzaaier and Ramabina Mahapa and the children for including VoiceWorks in your exciting journey! Visit the RX Radio website rxradio.co.za for more information and sign up to become a supporter or partner today!